Michel Picard is a senior researcher at the French National Center for Scientific Research (CNRS) and a member of the Centre for Southeast Asian Studies ("Centre Asie du Sud-Est", CNRS-EHESS) in Paris. 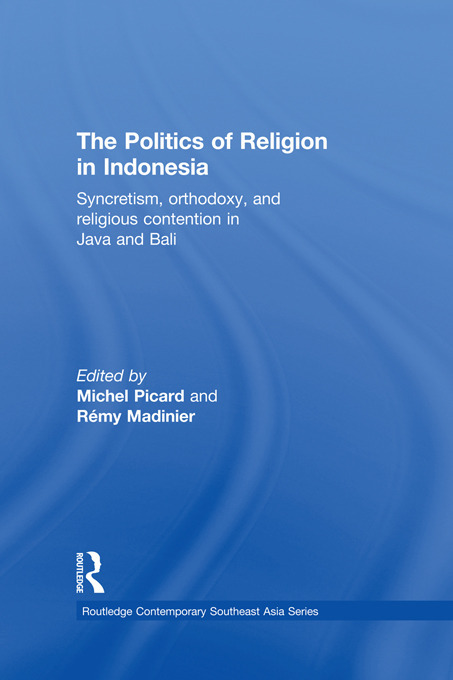 He has published extensively in the field of Balinese studies. Rémy Madinier is a senior researcher at the French National Center for Scientific Research (CNRS), and is based in Jakarta for the Research Institute on Contemporary Southeast Asia (IRASEC). He has previously published books on Indonesian Islam.